Brain drain has been a widely discussed topic in India. Clat Possible > Blog > General Knowledge > It’s a Good Start; But is it Enough to Stop Brain Drain? Brain drain has been a widely discussed topic in India. It essentially refers to the large exodus of qualified Indian students to the top universities abroad for studying and also the exodus of the top students to the top corporate abroad. Indian science students continue to dominate the scientific studies applicants in USA for years now. While repatriation based economic trickle down effects are beneficial for the Indian economy, it has been widely accepted that there is a compelling need to figure out how to retain that highly successful talent pool within our country itself. 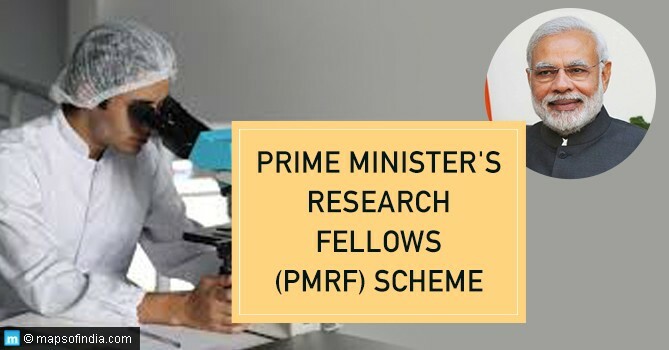 In light of the same, on February, 9, 2018, the Union Cabinet approved implementation of ‘Prime Minister’s Research Fellows [the “PMRF”] scheme at a total cost of Rs.1650 Crore for a period of seven years beginning 2018-19. B. What is it all about? What’s the Plan? Under this scheme, the best students who have completed or are in the final year of B. Tech or Integrated M.Tech or M.Sc. in Science and Technology streams from IISc/IITs/NITs/IISERs/IIITs will be offered direct admission in PhD programme in the IITs/IISc. Such students, who fulfill the eligibility criteria, and shortlisted through a selection process, as laid down in the PMRF Guidelines, will be offered a fellowship of Rs.70,000/- per month for the first two years, Rs.75,000/- per month for the 3rd year, and Rs.80,000/- per month in the 4th and 5th years. Apart from this, a research grant of Rs.2.00 lakh will be provided to each of the Fellows for a period of 5 years to cover their foreign travel expenses for presenting research papers in international conferences and seminars. A maximum of 3000 Fellows would be selected in a three year period, beginning 2018-19. The Ministry of Human Resource Development believes that the PMRF will go a long way in tapping the talent pool of the country for carrying out research indigenously in cutting edge science and technology domains. The research under the Scheme will address our national priorities at the one hand and shortage of quality faculty in the premier educational institutions of the country, on the other. The scheme was initially announced in the Budget Speech 2018-19. This was primarily in furtherance of the Prime Minister’s emphasis on innovation and technology for the progress and development of the nation. C.How far does it seem likely to go? Does it match Harvard? It seems like a step in the right direction. It is without a doubt, certainly a good start. But there is still a mismatch in terms of the financial incentives that are available to the top students who pursue a higher education in top universities. The PMRF currently offers Rs. 80,000/- per month as stated above, which works out to roughly $1,150 per month. However, as an example the John Paulson School of Engineering and Applied Sciences at Harvard University offers all Ph.D. students $2,980 per month, which is almost 3 (three) times higher than that which is offered through the PMRF. The resources available at universities like Harvard also continue to be largely superior to the ones in India. Perhaps coupled with a sense of patriotism, a lot of talent may still be retained in spite of the mismatch in financial rewards. It is also important to perhaps keep in mind that the cost of living in Boston would be different from the subsidized costs of living in most parts of India. D.Challenges of a uni-dimensional lust: What about Law & Social Sciences? It is widely recognized of course that there is significant importance that the applied sciences have in the progress of the world and our country. However, if that scientific zeal is not tempered through a parallel focus on social sciences and legal barricading, the directions of that progress may be misplaced. History is peppered with such examples in any case, where the greed of industrial dominance led to wars and science was more focused on creating new ways to kill human beings than even trying to look for ways to cure cancer. In that light, it is perhaps the right moment to do a little bit of self reflection and acknowledge the need to expand the scope these fellowships to the social sciences as well. If B.Tech students from top tech institutes of the country are eligible to pursue a Ph.D directly, then it is perhaps even a little disrespectful that graduates from the NLUs after pursuing a 5 year integrated program are not eligible for a direct Ph.D. The scope needs to widened, with or without the fellowship. Something for the University Grants Commission to reconsider, if not the Prime Minister. This is without doubt a step in the right direction to stop the brain drain. However, it may not be enough just yet since the foreign financial numbers and the access to resources continue to be superior to the Indian start. We must congratulate the Prime Minister and the Cabinet for this unprecedented evolution in Indian educational Institutions. However, we must also remember that such evolution should not be limited to the applied sciences alone and must expand inclusively to social sciences and Law.